Marc Veit joined LALIVE in 2014. He specializes in international arbitration and litigation and has acted as counsel and arbitrator in a large number of international arbitrations, both ad hoc (including UNCITRAL) and under institutional rules (ICC, Swiss rules, HKIAC, SIAC, SCC, IATA) involving the substantive and/or procedural laws of Switzerland, Germany, Austria, France, England, China, Turkey, Sweden, Singapore, Hong Kong, Georgia, Ukraine, Korea and Albania. 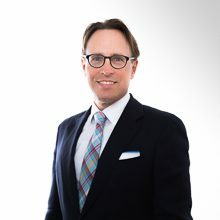 Marc Veit has extensive experience in complex international arbitration and litigation matters with particular emphasis on multi-jurisdictional disputes. His expertise spans across various industries including energy (in particular gas), construction, telecommunications, life sciences and biotechnology, banking, commodity trading, shipping, ship building and nutrition. Marc Veit also represents parties before the Swiss Federal Supreme Court in setting aside proceedings. Marc Veit is an active member of several associations, including the Swiss Arbitration Association (ASA), the IBA Arbitration Committee, the Inter-Pacific Bar Association (IPBA), and the Institute for Transnational Arbitration (ITA). He is a frequent speaker and moderator at international conferences on dispute resolution and publishes regularly in the field. He has been ranked for many years by Chambers Global as a leading individual in Arbitration and Litigation in Switzerland, and by Legal 500 as a recommended practitioner in Dispute Resolution in Switzerland. Before joining LALIVE, Marc Veit was a partner in the arbitration and litigation team of a top tier Swiss law firm in Zurich. He graduated from the University of St Gallen (lic iur 1997, Dr oec 1999) and was a visiting scholar in 1998 at UC Berkeley, USA. He has for many years, been a lecturer at the Universities of Fribourg and St. Gallen. Head of the London office Marc Veit frequently represents Eastern European investors in investor-state arbitrations and setting-aside proceedings. Clients report that he has "a lot of patience and stamina, a good writing style and is pleasant to work with." Veit also acts for clients on construction law arbitrations. Marc Veit garners praise from clients, who appreciate his "quick understanding of the issues" as well as his "arbitration instincts and analytical abilities." A source highlights that Veit has the "ability to absorb and decipher complex information in no time" and that he can "articulate the arguments and grounds of appeal in an unambiguous and influential manner." He has experience representing clients in arbitrations concerning investments, sales and intellectual property, as well as cross-licensing agreements. Marc Veit advises on both domestic and international litigation and arbitration. One impressed client states: "It can take a long time to explain these things to typical lawyers, but not for Marc; he could spend his time thinking about matters of a higher complexity." Marc Veit in Zurich is “one of the best” when it comes to handling multi-jurisdictional disputes, and is praised as “a very organised and responsive individual”. Marc Veit has acted as counsel and arbitrator in more than 80 international arbitrations and is particularly well known for energy-related disputes. Marc Veit is a “great intellect”. Marc Veit wins plaudits for his handling of international arbitrations. He covers a range of industries including gas, construction, life sciences and shipping. The “exceptional” Marc D Veit is praised for his “ability to handle complex, multi-jurisdictional disputes with aplomb”. Marc Veit represents individuals and multinational corporations in complex international disputes and is considered a “model arbitrator”. A “first-class” litigator with “considerable” experience representing multinational corporations and individuals in the telecommunications, pharmaceuticals and energy sectors. The ‘very talented’ Marc Veit has a strong reputation for his work representing clients in arbitrations. He regularly acts on cross-border disputes. Marc Veit is 'one of the foremost counsels around'. A large proportion of Marc Veit's contentious work is made up of multi-jurisdictional cases, and he regularly acts on arbitrations with no Swiss connection. Marc Veit is 'good at synthesizing all evidence and presenting it in a coherent and persuasive way', report clients. 'He is smart and prepares excellent pleadings'. Marc Veit is known for his work as a litigator and arbitration counsel, particularly in multi-jurisdictional disputes. Marc Veit is described as ‘young and talented’. Singapore 20/06/2016 Marc D. Veit Speaker: Iura novit curia: What about due process? Effective Fact Finding vs. Information Overload: Too Much Paper in Arbitration? Mannheim 26/02/2016 Marc D. Veit Moderator: Shifting the Burden of Proof – An Efficient Alternative to Document Production?